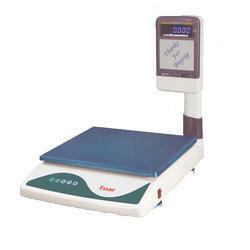 We are well known name as a manufacturer, supplier and exporter and we are offering counter scale to our customers. Our product ranges are extensively used with various users. The unique Styling & Design of the DS-75 Counter Scale makes it an ideal choice for Counter Weighment in Food counters such as Bakery, Provision stores etc. The combination of Blue Dual Display & Standard Rechargeable Battery provides an extraordinary duration of usage without mains Power Supply. 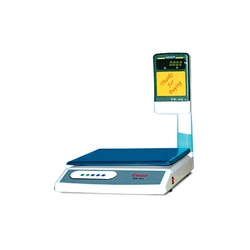 The unique Styling & Design of the DS-65 Counter Scale makes it an ideal choice for Counter Weighment in Food counters such as Bakery, Sweet shops, Provision stores etc. The bright VFD Dual Pole Display makes it easy to read even from a distance. It comes with a Standard Rechargeable Battery, which makes it an ideal choice for conditions needing usage without Mains Power Supply.